However, just because you have your mind set on a brand new car with no previous owners it does not necessarily mean that an outright purchase is the right option every time. Leasing and finance options that many car manufacturers offer can make for a more attractive option than putting all of the purchase price down in one go or borrowing the money from elsewhere and repaying it back. Most of big brand car manufacturers like Ford, Nissan, Honda, etc, offer both finance at the time of purchase and leasing options for fleet purchasers and individuals. If you are not familiar with the difference between financing a car purchase and leasing one, it is worth understanding the basic distinction. 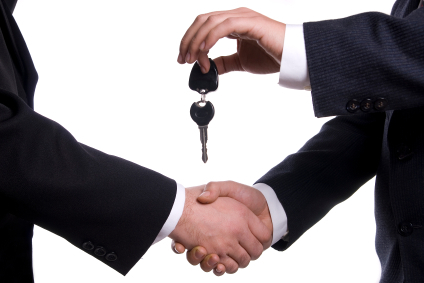 A vehicle lease is usually for a brand new car where you have the use of it for a fixed period of time. The person paying the money is known as the lessee and the one providing the upfront money is known as the lessor. The lessor will set at an amount of money for the lease which is commonly paid in monthly installments. If the lessee signs up to the deal, the car dealership is paid for the vehicle by the lessor and the lessee can drive away with the car, knowing exactly how much to put aside each month. Warranty and servicing is usually all included in these types of deal. However, once the lease comes to an end the lessee must return the car and retains none of the residual value of it. Under a finance deal, the dealership generally operates like a money lender or a bank although the money may actually come from a third party company. After a credit check, the car is purchased with borrowed money. Unlike a lease, the full title of ownership passes over to the customer, subject to the loan being repaid. Like leases, the length of time that the deal works for can vary depending on the requirements of the customer. Cars bought on finance are said to have given rise to vehicle sales in the UK this year. Some car dealerships bundle in the first year’s insurance as part of a finance deal, which is worth asking about as cars not on finance deals don’t always get this. The big advantage of a lease is that it is, in general terms, easier to fund than a loan where interest rates can vary. Leases allow people who might not be able to otherwise afford new cars to drive away in them with all the advantages and prestige that brings. Once the lease comes to an end, you do have to return the car but, at that point, it is likely you would be looking to upgrade again anyway. Therefore, successive leases from one car to the next is a popular way among British drivers to fund their road going. Sometimes leasing can be much better. My fiance is a car consultant and he has honestly told me that sometimes a lease can be cheaper. I agree Michelle and there are noteworthy tax advantages if you’re self employed. I would only lease a car if it was a write off for my taxes every year and I was travelling for work and it made sense. I probably would never buy new anyhow as I’d rather buy a vehicle a couple of years in and pay cash if I can. I’m with you Mr.CBB, if it made sense for tax purposes then I wouldn’t hesitate to lease. I still have an older car that I bought for a few thousand dollars that I had saved up. Yes, I do desire to be in a nicer car – but for the time being, I LOVE not having a car payment, and just cannot imagine having one in the near future, no matter how nice of a car I desire. I know what you mean Janine. Not everyone needs a brand new car but for those who want or do need one, it’s good to consider all the possible options before buying new. I last bought a new car about 12 years ago – can’t stand the depreciation. Actually, with modern cars being so reliable if they are properly maintained, I tend to buy now at about 5 years old. My ownership costs (I tend to keep for abut 2 years) are much lower thanks to modest depreciation. Plus, I get to run models I would never afford brand new. The only mistake was a Range Rover which I christened the Incredible Standing Still Machine. Sounds like you’ve got a great plan there and I agree, the depreciation is sickening. Constantly the personal finance community – and others – say how terrible it is to lease. I realized when I was reading this post that I never even looked into the pros and cons of leasing!